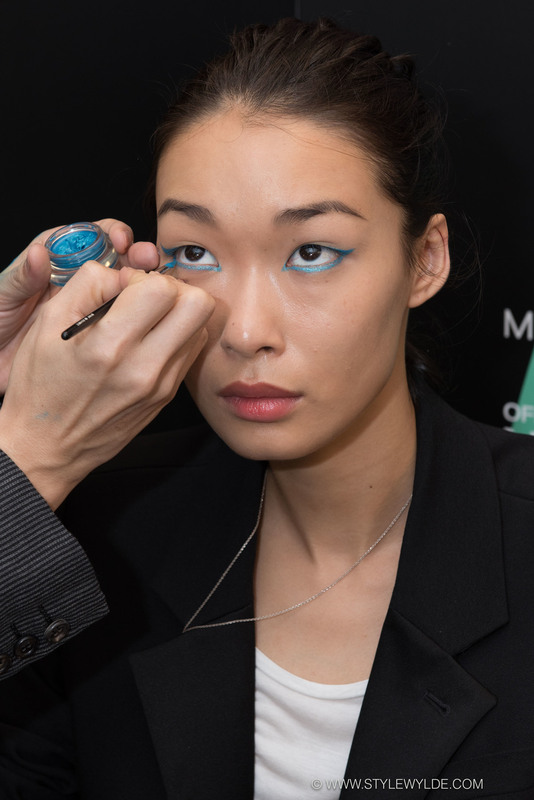 It was all about intense turquoise-hued cat eyes, and gorgeous glowing skin for the female models backstage at the Asian Fashion Meets Tokyo collective show at Mercedes-Benz Fashion Week Tokyo on Friday. Star makeup artist Mizu and his team of professionals from Maybelline New York Japan, created the look using Maybelline Color Ink eyeliner, Maybelline The Nudes Shadow Palette, Maybelline Brow Palette, Maybelline Jelly Glow on cheeks, and Maybelline Baby Lips gloss both on lips, and in a clear form patted on to eye lids. 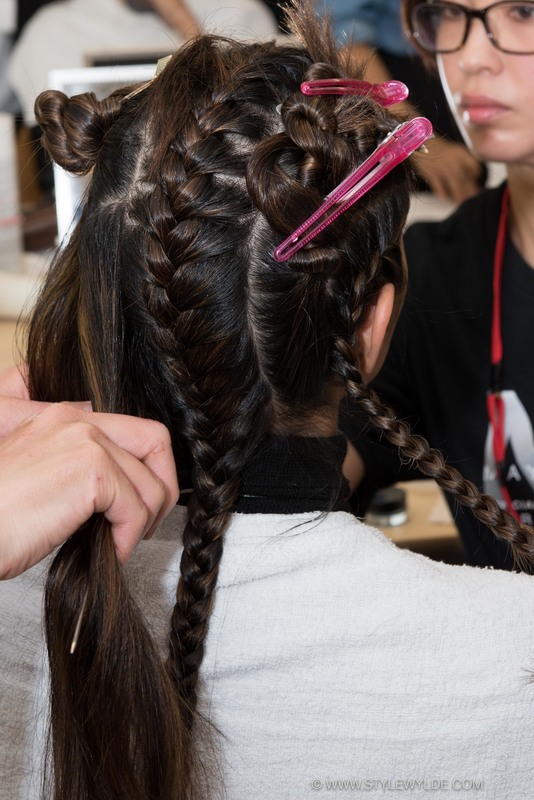 To pair with this intense look, the team from Essie did a simple, slightly sheer Turquoise nail, while the hair team did elaborate braids on both the female and male models. All images: Cynthia Anderson for Style Wylde. For a full look at all the collections from the special presentation, check out our feature in Runway.